e.g. obtaining records of birth, marriage, death from the respective church (but to do this, you will generally have to know the exact parish), searching through archives and libraries, maybe also using LDS-FHC resources (rather limited for some parts of Austria), etc. Surname Searches - genealogical databases, surname resources, etc. Ships, Passenger Lists & Immigration - Ellis Island Online Database, Mailing Lists, etc. Searching for Living Persons - phone directories, e-mail direcories, etc. Austrian Surname Searches - Austria-specific records and directories, etc. 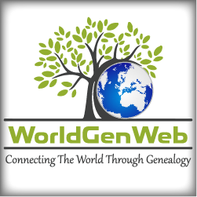 MetaSearch, RootsWeb Message Board Search, WorldConnect (GEDCOM files), RSL Roots Surname List, etc. GeneaNet Database - a large, free database of GEDCOM files with a user interface in many languages. Ancestry.com provides access to vast volumes of information. The use of many resources require an Ancestry.com subscription. GenTeam.eu database (free; more than 18 million records per March 2018). The Matricula system provides free online access to church registers (mostly books of birth, marriage and death) from various European countries (currently Austria, Germany, Poland and Serbia). The Monasterium.Net provide access to a vast range of historical archives. The Statue of Liberty-Ellis Island Foundation, Inc. and the American Family Immigration History Center (AFIHC) located on Ellis Island. Austrian Phone Directory is useful if you want to look up or validate surnames in today's Austria.